Recently, a piece of legislation extending the Bush era tax cuts was signed into law. What many people didn’t realize was that this bill also included tax credits for certain green home improvements. Right now, a tax credit for making energy efficient improvements to your home expires with tax year 2010. In an effort to continue the credit, some aspects have been extended through tax year 2011. So, if you didn’t get your windows replaced, or if you didn’t bulk up your insulation, you can still do these things in 2011, and receive a credit. It won’t be as big as the 2009-2010 tax credit, though. 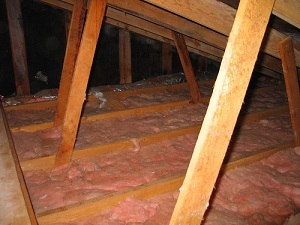 Insulation and metal or asphalt roofs do not come with individual caps, but once you reach that $500, you have maxed out your credit. Realize, too, that the credit won’t cover installation costs for all of the items — except, installation is included for HVAC components and water heaters. If you have already taken home improvement credits in the past that total more than $500, you are ineligible for the 2011 credit. However, if you took a credit of $200 in the past, you can still take $300 for the 2011 tax year. Realize, too, that you can only take this credit if you make the improvements to an existing primary residence. No second homes, new construction or rentals are eligible. You must have these items installed between January 1, 2011 and December 31, 2011 to qualify. It is worth noting that the tax credit for green energy systems for your home remains intact until December 31, 2016. This tax credit is meant for those who install solar panels, geothermal heat pumps and/or residential wind turbines. This credit is worth up to 30% of the cost of the system, including installation. There is no upper limit. Additionally, you can get this tax credit if you install the system in your second home, as well as in your primary residence. New construction homes are eligible as well as existing homes. However, you cannot take the tax credit if you are making this improvement to a rental property. Fuel cell installation is also included in a tax credit that lasts until the end of 2016. You can get up to 30% with a cap at $500 per 0.5 kW of power capacity. However, second homes (and rentals) do not qualify for this tax credit. You can visit the government’s Energy Star web site for more information on what is included in the tax credit. Updated forms will be provided when the time comes to begin preparing tax returns for 2011. Right now, tax returns are for 2010, so those returns will need the Form 5695 to be filed with the Form 1040. You should save your receipts and there should also be a Manufacturer’s Certification Statement. Make copies of these items, and keep the originals somewhere safe. You will want to have documentation ready to back up your claim of credit. The 2011 home improvement tax credit is less generous than credits of the past, but it is still better than nothing, and can be helpful when added to other tax breaks associated with homeownership. If you are planning to make some energy efficient changes to your home, it might be a good idea to start planning them now.